When you hear the word “orthodontics,” what comes to mind? Probably a young teenager whose teeth are covered by a latticework of metal. There are indeed many orthodontic patients who fit that description. However, Glover Dental Group now offers an increasingly popular alternative to traditional metal braces: Invisalign® clear aligners. 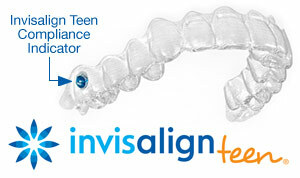 Interested in Invisalign? Call Glover Dental Group Cosmetic & Implant Dentistry in Orlando FL at (407) 567-0941 for more information and to schedule an appointment!